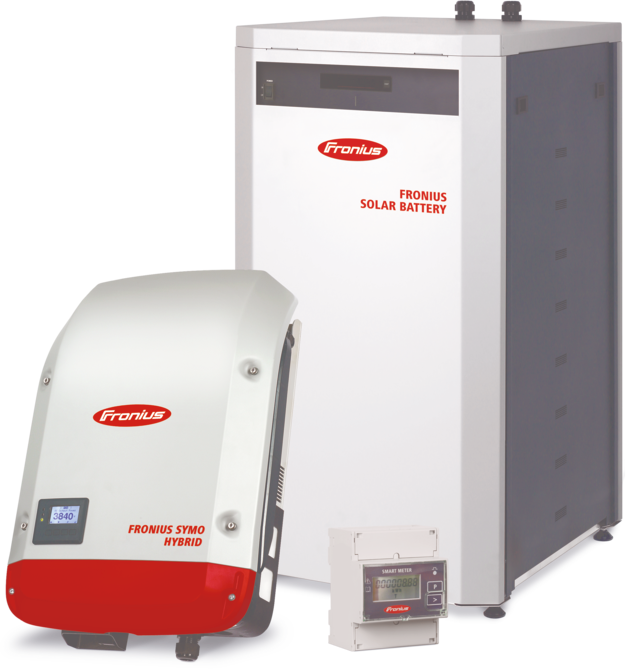 The Fronius Energy Package – the storage solution for 24 hours of sun – consists of the Fronius Symo Hybrid, Fronius Solar Battery and Fronius Smart Meter. 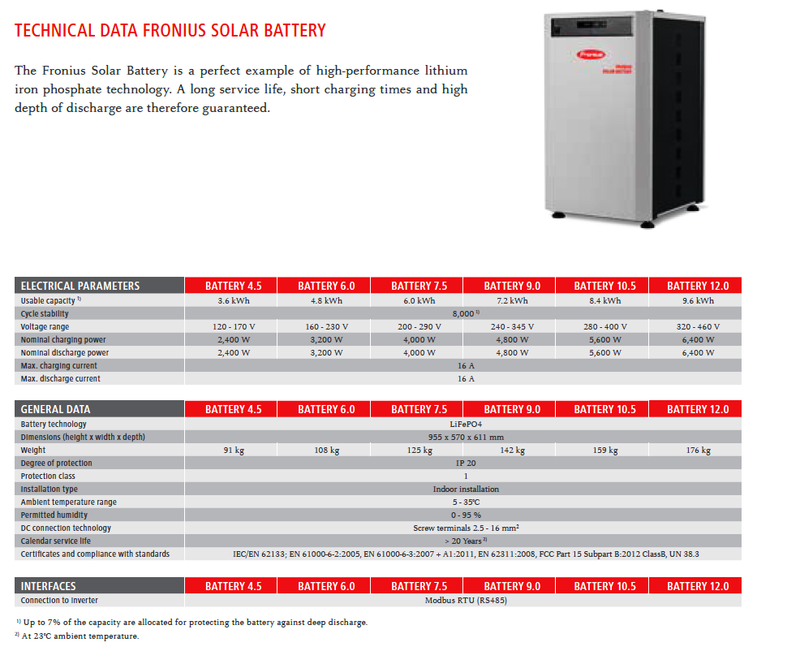 The Fronius Solar Battery is a lithium-iron phosphate battery – guaranteeing a long service life, short charging times and a high depth of discharge. 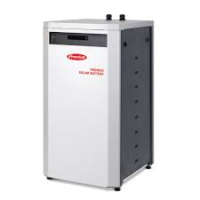 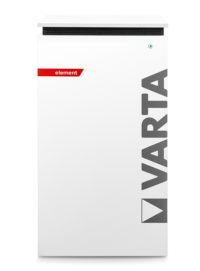 Its modular design allows the storage capacity of the battery to be set in a range from 3.6 kWh to 9.6 kWh to satisfy the particular needs of the customer. The battery is therefore extremely flexible.